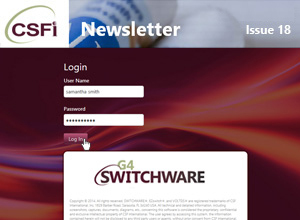 Our quarterly newsletter offering insights into electronic payments news, trends and software solutions. Highlights: Success Stories and Also of Interest. Highlights: Post EMV Fraud, Success Stories and Also of Interest. Also in this Issue: Success Stories, Did You Know?, Also of Interest and How To? Also in this Issue: Success Stories, Did You Know?, Also of Interest, How To and In the Future. Also in this Issue: Success Stories, Also of Interest and In the Future. Also in this Issue: Maximizing Up-time, Success Story and Also of Interest. Also in this Issue: HADR Solutions, Success Story and Also of Interest. Also in this Issue: Hosted Cloud Services, Success Story and Also of Interest.